The ATS invites medical device companies and manufacturers to organize a Practical Workshop during ATS 2019 in Dallas. Practical Workshops offer the hands-on education attendees want on the exhibit floor. Companies can demonstrate their product, and present new techniques while offering invaluable training to attendees. 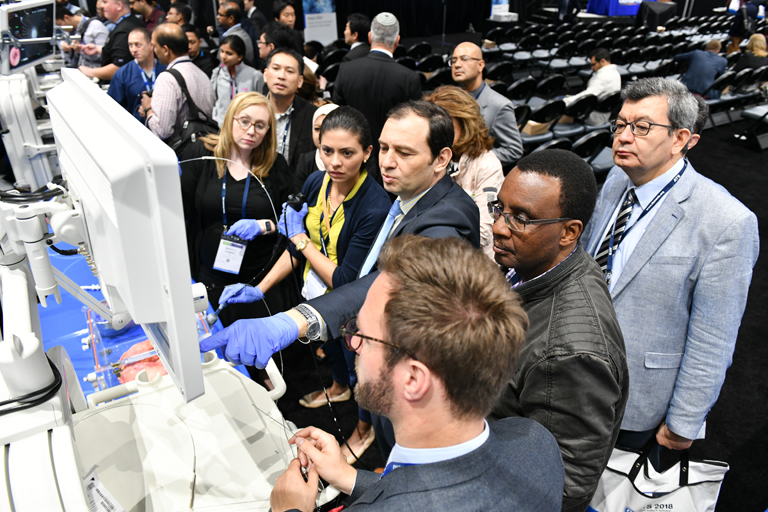 Sponsors are required to schedule at least 50 minutes of dedicated, hands-on demonstration and skill-building during each presentation with a minimum of 4 education stations. Applicants select the top five choices for day and time during the application process. A deposit is not required, but a $5,000 cancellation fee is incurred for any program cancelled after receipt of signed contract. Practical Workshops are available on a first-come, first-served basis. Sponsors are required to schedule at least 50 minutes of dedicated, hands-on demonstration and skill-building during each presentation with a minimum of 4 education stations. Sponsor may set audience restrictions such as U.S. only or International only audience, or by invitation-only. Programs offering CME/CE/MOC credit are not permitted. The use of any space within the convention center that is affiliated with the Industry Program should support conference activities, and cannot be used in combination with developing CME/CE Material or any form of Professional Credit. A standard A/V package is included and furnished by the ATS. A decision to not use the A/V package does not change the fee for holding a Practical Workshop. The A/V package is customized to ensure good visibility and sound quality. Please see the A/V package plan for the equipment list. An audio/recording capture content A/V package is available from PSAV so you can extend the life of your program. Audio or visual recording of the workshop presentation is permitted provided it does not interfere with other presentations scheduled.